Great App! Much better than scripture typer! I first had scripture typer, but it just kept crashing. This app is a lot more intuitive, and interactive. 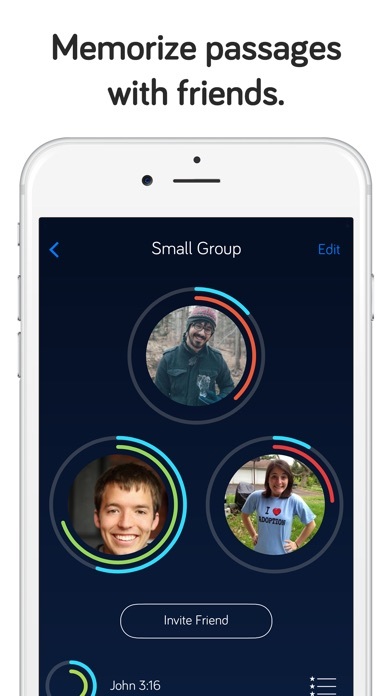 Other than the small payment for more versions (which is worth it in my opinion), it is overall a great app. I find myself grabbing my phone throughout the day to scroll through social media and basically waste time. This app has been extremely helpful because I can now make the bad habit of looking at my phone productive and worshipful. I recommend this to all my friends. 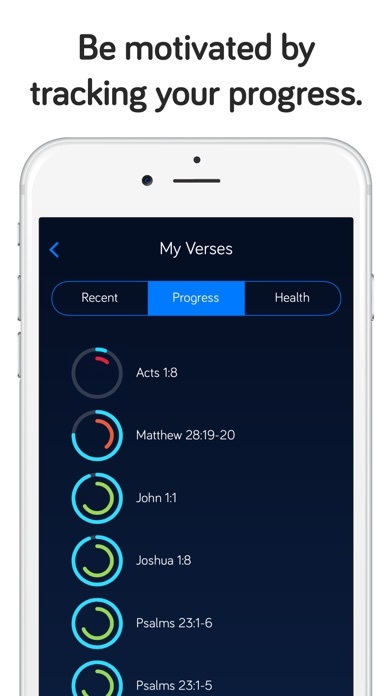 This app is so awesome for scripture learning. 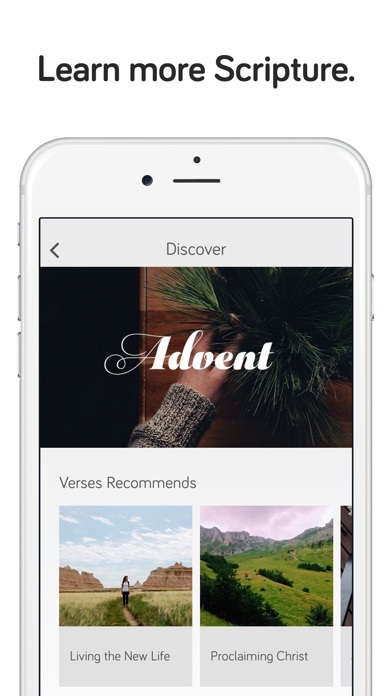 It’s kind of like quizlet for verses. Very disappointed with the speaking portion of this memorization of the verses! I love memorizing God’s word and strive to get them correct but regardless of how slow and clear I spoke the app continually error what I would say! I love this app. Best one out there for scripture memorizing that I’ve seen. It’s a work on progress, but you can submit ideas & they take them seriously. Each update has not been a disappointment. 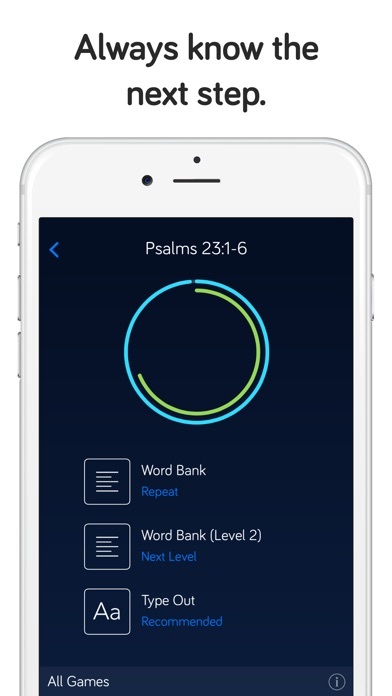 Perfect App for memorizing Verses! 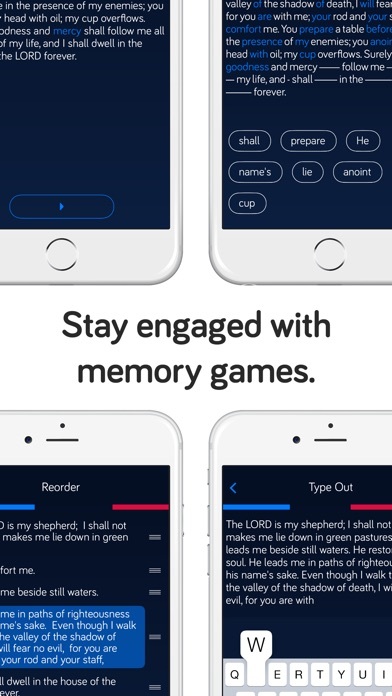 This app helps me memorize verses easily! The different methods it uses are perfect to help me retain the verses. I can work on them wherever I go and have extra time. I can review ones I've already memorized. It's all around a great app. I highly recommend it. I'm in my early 60s and love that I can still learn more Scripture. PS. The last few months as my memorization has increased daily. The log isn’t working and not giving me credit for memorizing for over 5 minutes. That’s rather frustrating. I’m not memorizing for that reason but it does create an incentive to use the app every day. It keeps freezing and losing track of my daily work. What gives? Your updates say you have fixed the bug causing that issue but it still continues as of today, April 8, 2019. Please, fix this! It can’t be that challenging. This is getting extremely annoying that it is not getting what I am speaking. I try speaking it slow, deliberate, I try fast, I try softly, I try loud. I’m saying it correct but it doesn’t get it. I’m ready to get rid of this app. More by Verses, Ltd. Co.